Few weekends back saw me and hubby partying with my set of work colleagues. I get very excited for throwing house parties and love the entire ritual of deciding the menu, grocery shopping, having the cutlery sorted and having the house look prim and propah. I usually like to have elaborate appetizers hence the dips come in handy. This dip has always been a hit whenever I throw house parties. This also happens to be husband’s favourite hence had to be featured. I love this for the creamy and buttery texture and the subtle flavour of white pepper powder which gives the much required kick to the palette. Heat Olive oil on medium heat in a saucepan. Add crushed garlic and sauté for a minute. 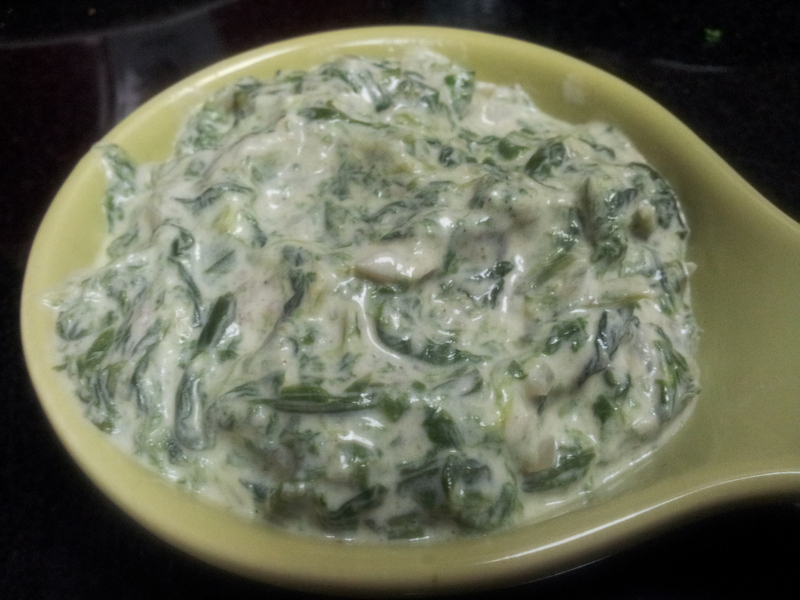 Thaw the frozen spinach and squeeze out all the excess water and add the pan. Let it simmer for 2 mins. Don’t over cook the spinach else it will lose it’s bright green color. Add sea salt and white pepper and mix it well. Lower the heat. 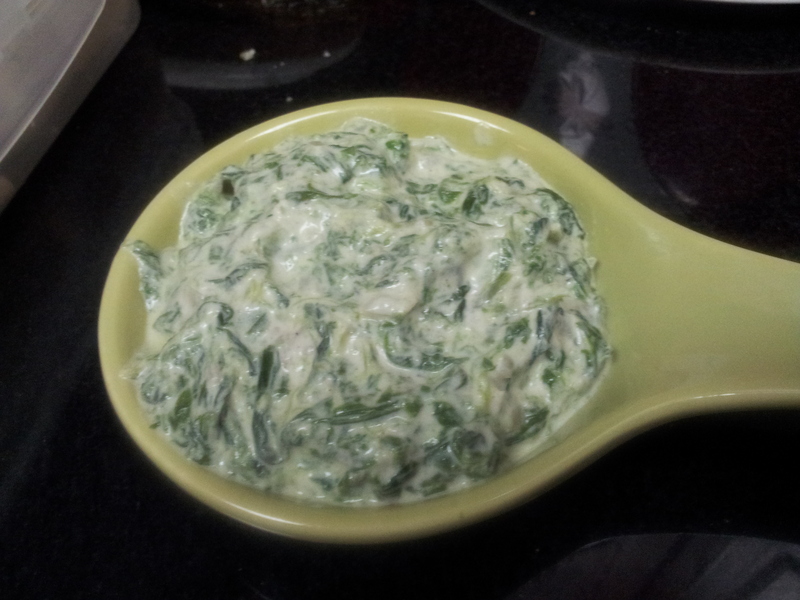 Dilute the cream with little milk, blend it well and add to the spinach mixture. Cook it for another 2 minutes and add milk. Keep stirring the mixture continuously. When the cream becomes half, remove from heat. Let the mixture cool completely and refrigerate it for a minimum of 2 hours. Serve with Nachos, Crackers, Baby Carrots or Pita Bread. This dip can be stored for 3 days if refrigerated. 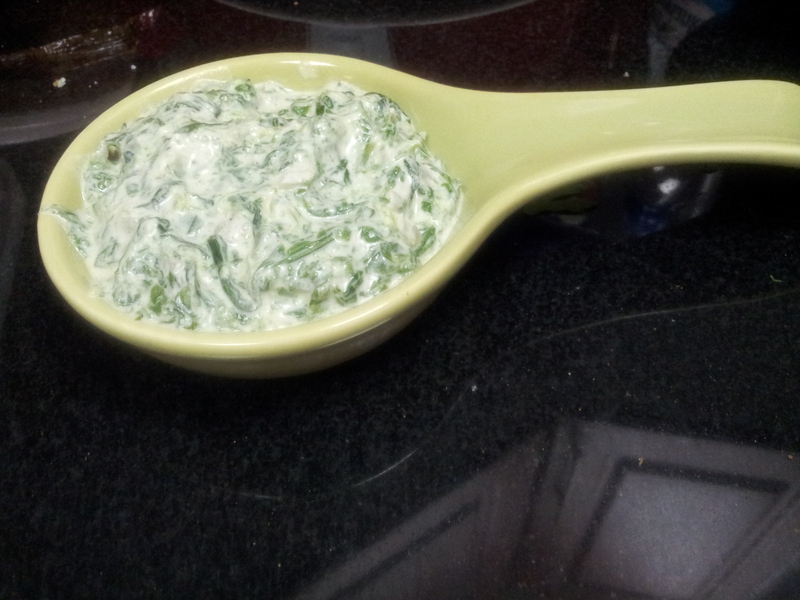 Tried and tasted – simply the best dip ever! So very delicious. Going to bat my lashes and ask Mama to make me some! The best dip I have ever tasted! You must try it too!